Home SharperIron Forums Principles & Consequences Church & Biblical History Observations on "The Conversion and Apostleship of St. Paul"
Observations on "The Conversion and Apostleship of St. Paul"
ANALYZED AND CONDENSED BY REV. J. L. CAMPBELL, D. D., CAMBRIDGE, MASS. The object of this paper is to present in an abbreviated form the famous argument of Lord Lyttelton in defense of Christianity based on the conversion of the Apostle Paul. A few words about the man himself and about the interesting circumstances in which this treatise was written will properly introduce the subject. George Lyttelton was born at Hagley, Worcestershire, England, January 17, 1709, and died on Tuesday morning, August 22, 1773, aged sixty-four years. He belonged to a distinguished “family of long descent and gentle blood, dwelling for centuries on the same spot.” Educated at Eton and Oxford, he soon afterwards entered Parliament, “and for many years the name of George Lyttelton was seen in every account of every debate in the House of Commons.” From this, he advanced successively to the position of lord commissioner of the treasury, and of chancellor of the exchequer, after which he was raised to the peerage. He was also a man of letters and his closing years were devoted almost wholly to literary pursuits. He was a writer of verse as well as prose and Dr. Samuel Johnson has furnished us with his biography in his “Lives of the Poets.” Outside of his books, which comprise nine octavo volumes, his Memoirs and Correspondence make two additional volumes that were compiled and edited by Robert Phillimore in 1845.
compact pages. It is addressed in the form of a letter to Gilbert West. 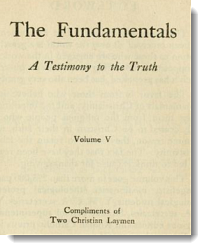 In the opening paragraph he says, “The conversion and apostleship of St. Paul alone, duly considered, was of itself a demonstration sufficient to prove Christianity to be a divine revelation.” Dr. Johnson remarked that it is a treatise “to which infidelity had never been able to fabricate a specious answer.” Dr. Philip Doddridge, who became Lyttelton’s most intimate religious friend, speaks of it as “masterly,” and, “as perfect in its kind as any our age has produced.” Testimonials of this kind might be multiplied indefinitely. Let us now turn to an examination of the book itself. Lyttelton naturally begins by bringing before us all the facts that we have in the New Testament regarding the conversion of St. Paul; the three accounts given in the Acts; what we have in Galatians, Philippians, Timothy, Corinthians, Colossians and in other places. (Acts 9:22-26; Gal. 1:11-16; Phil. 3:4-8; 1 Tim. 1:12, 13; 1 Cor. 15:8; 2 Cor. 1:1; Col. 1:1, etc.) Then he lays down four propositions which he considers exhaust all the possibilities in the case. More than half his argument (about forty pages) is devoted to the first of these propositions, which is really the key to the whole situation. Is this story of Paul’s conversion so often repeated in Acts and Epistles a fabrication, put forth by a designing man with the deliberate purpose and intention of deceiving? Lyttelton at once raises the question of motive. What could have induced him while on his way to Damascus, filled with implacable hatred against this whole sect, to turn around and become a disciple of Christ? No, all the wealth was in the keeping of those whom he had forsaken; the poverty was on the side of those with whom he now identified himself. So poor had they been, that those among them possessed of any little property sold whatever belonged to them in order to provide for the dire necessities of the rest. Indeed, one of the burdens afterwards laid upon Paul was to collect means for those who were threatened with starvation. Such was the humble condition of these early Christians, that he often refused to take anything from them even for the bare necessities of life, but labored himself to provide for his scanty needs. To the Corinthians, he writes, “Even unto this present hour we both hunger, and thirst, and are naked, and are buffeted, and have no certain dwelling place; and we toil working with our hands.” (1 Cor. 4:11, 12. See also 2 Cor. 12:14; 1 Thess. 2:4-9; 2 Thess. 3:8, etc.) In his farewell to the elders of Ephesus, he appeals to them as knowing it to be true that, “I coveted no man’s silver or gold or apparel. Ye yourselves know that these hands ministered unto my necessities, and to them that were with me” (Acts 20:33, 34). He forsook the great Jewish hierarchy with its gorgeous temple and its overflowing treasuries, where his zeal in putting down the hated sect of the Nazarene would have been almost certainly rewarded with a fortune. He cast in his lot among the poverty-stricken disciples of Jesus Christ, among whom it was his ambition to be poor. Near the end of his life he presents to us the picture of an old man shivering in a Roman dungeon and pathetically asking for a cloak to be sent him to cover his naked and suffering limbs during the severity of an Italian winter. 3. Was it power he was after? I rejoice, yea, and will rejoice” (Phil. 1:18). He did not lord it over the churches, even over those that he himself had founded. To the Pauline party in Corinth he exclaims, “Was Paul crucified for you? or were ye baptized in the name of Paul?” (1 Cor. 1:13).”We preach not ourselves, but Christ Jesus as Lord, and ourselves as your servants for Jesus’ sake” (2 Cor. 4:5”). Those who, from selfish motives seek for influence over people pander to them and flatter them [as, e. g. did Absalom]. There was nothing of this with Paul. He rebuked the churches unsparingly for their sins, and did not hesitate, if need be, to incur their displeasure. Disclaiming all pre-eminence and position and power, he preached Christ and Him crucified as the head, and hid and buried self behind the cross. Earth to him was nothing. His eye was fixed on “the recompense of reward” (Heb. 11:26). 4. Was his motive the gratification of any other passion? Impostors have pretended to receive divine revelations as a pretext in order that they might indulge in loose conduct. Was it so here? No; for all Paul’s teachings were in the most absolute antagonism, to any such purpose. “His writings breathe nothing but the strictest morality, obedience to magistrates, order, and government, with the utmost abhorrence of all licentiousness, idleness, or loose behavior under the cloak of religion.” Waiting to the Thessalonians, he utters the challenge, “Ye are witnesses, and God also, how holily and righteously and unblameably we behaved ourselves toward you that believe” (1 Thess. 2:10).”We wronged no man, we corrupted no man, we took advantage of no man” (2 Cor. 7:2). The whole teaching of the Apostle is in the sternest and most uncompromising hostility to everything but the highest and holiest ideals. 5. Was it a pious fraud? set out to destroy. To become a Christian was to incur the hatred, the contempt, the torments and the violent deaths suffered by Christians in that day. Why then this sudden change in Paul’s own views regarding the unpopular teachings of the Nazarene? Would he have endured “the loss of all things” and exulted over it, for what he knew was a fraud? Would he have spent a life of the most arduous toil to induce others to make every earthly sacrifice while he knew that behind it all he was practising a delusion? It would be an imposture as unprofitable as it was perilous, both to himself the deceiver and to the others whom he deceived. The theory confutes itself. Only the sternest conviction that he had received a divine revelation could have induced Paul to pass through what he himself had suffered, or to have asked others to do the same.” If we have only hoped in Christ in this life, we are of all men most pitiable” (1 Cor. 15:19). wisdom. Could he by feats of jugglery in presence of a shrewd, hostile people strike Elymas the sorcerer, blind; heal a cripple at Lystra; restore the pythoness at Philippi; shake open with a prayer the doors of a prison; raise the dead to life, etc., so that thousands were converted and great pure churches renouncing all sin and dishonesty, established throughout the Roman world? Our author shows that this would be impossible without divine help and therefore he concludes that he has proven ( 1 ) that Paul was not a cheat telling a trumped-up story about his conversion, and (2) if he were, he could not have succeeded. This second argument covers twenty pages. Was Paul a deluded enthusiast whose overheated imagination imposed on him so that he imagined to be true that which had never really taken place? Lord Lyttelton makes an analysis of the elements that enter into the make-up of a man of this type. He finds these to be five. (1) Great heat of temper. former ignorant persecution of the church, but there are no gloomy self-imposed penances such as melancholy fanatics inflict upon themselves. He had a desire to depart and be with Christ, but there was nothing morbid about it. It was all based on the revelation that he already had of the rewards that awaited him in the life to come He tactfully met the Athenians adroitly claiming to be the interpreter of “The unknown god” whose altar they themselves had erected. He never hesitated to avert injustice by claiming his privileges as a Roman citizen. He was the very antithesis of gloominess. In whatever state he was, he had learned to be content. Neither his actions, nor his writings, nor his interested greeting and salutations, show the slightest tincture of melancholia. This charge could not be laid up against the Apostle. Brought up at the feet of the great Gamaliel, he appeared to be master not only of Jewish, but also of Greek (and Roman) learning. This third possible solution Lyttelton dismisses with a single page. The fraud of others could not have deceived him; for, (1) It was morally impossible that the disciples of Christ could have thought of such a fraud at the instant of Paul’s greatest fury against them. (2) It was physically impossible for them to do it. Could they produce a light brighter than the midday sun; cause him to hear a voice speaking out of that light; make him blind for three days and then return his sight at a word, etc.? There were no Christians around when the miracle of his conversion took place. (3) No fraud could have produced those subsequent miracles which he himself actively wrought and to which he so confidently appealed in proof of his divine mission. Our author considers that he has furnished sufficient evidence to show (1) that Paul was nut an impostor deliberately proclaiming what he knew to be false with intent to deceive; (2) that he was not imposed upon by an overheated imagination, and (3) that he was not deceived by the fraud of others. Unless, therefore, we are prepared to lay aside the use of our understanding and all the rules of evidence by which facts are determined, we must accept the whole story of Paul’s conversion as literally and historically true. We have therefore the supernatural, and the Christian religion is proved to be a revelation from God. the essence of Lord Lyttelton’s matchless argument which has been blessed to thousands of doubting souls. May this outline lead to candid examination, as such an examination should inevitably lead to Him whom Paul saw in the midst of the glory near the gate of Damascus.